I love going to Keurings, helping and photographing them. What is a Keuring, you might be asking. 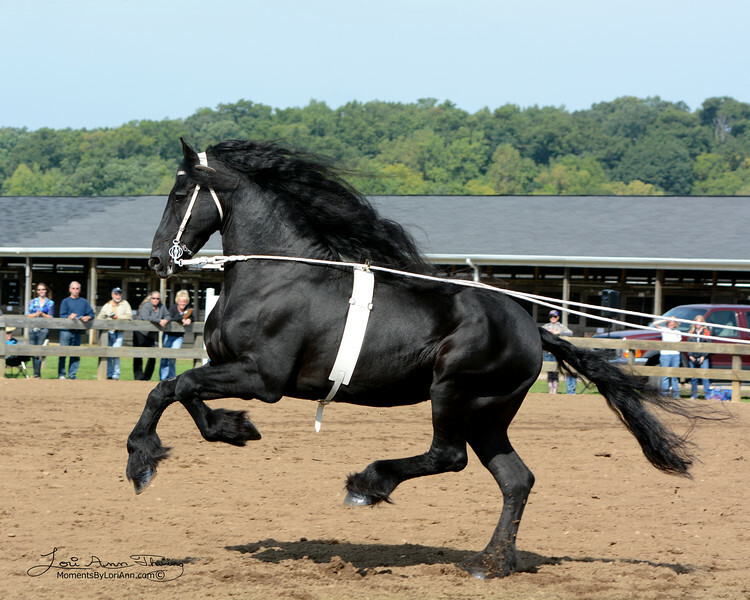 From the FHANA.com website: A judging (keuring, in Dutch) is an evaluation of horses here in North America, by officials from the Netherlands. Once a year, teams of officials qualified by the Friesch Paarden Stamboek are sent to North America to inspect or "judge" our horses. This is a thorough evaluation process that helps us to upgrade our breeding programs. The horses are judged in-hand and 60% of the evaluation is based on the quality of movement and 40% is based on conformation. I have been going to the Michigan Keurings since 2010 and haven't missed one yet. Out of professional courtesy, I don't sell or give away any of my photos from the Keurings. That said, I take photos for me to enjoy, of the foals I raise or have helped raise, photos outside the ring of those candid moments that I love to much. Everyone is focused on the ring, how the horses are doing and I like to point my camera on what else is going on. Part of going to a Keuring, is the work ahead of time including bathing the horses a few days before. Here my daughter Mali is washing a mare she has known for 5 years, since Ineke was a newborn filly. Ineke now has her own baby, Xander, who was being washed by one of his owners, Judy. I am right in there helping to wash all the mares and foals going to the Keuring. It's a long day of hard work but I feel like I am part of something that goes back to the first Keuring in late 1800's. Waiting to go in for inspection can be a lot of fun! People are visiting with their friends they haven't seen since last year. And of course seeing some approved stallions is always a big thrill! Some keurings don't have any, but Michigan has several that attend each year. Above is the great Mintse 384 Sport showing off his powerful canter.